This new series is a handsome group which follows the recent unleashing of a series of mid-range ani-digi Japanese G-Shocks that are also adorned with rose gold highlights. Perhaps Casio has been watching other manufacturers such as Fossil, Armitron, TW, and Skagan experience some success with this non-gold gold finish. Certainly, if you have been to any of the big-box jewelry departments recently, you might have noticed a much higher percentage of rose gold plated products in their cases. This model has been around for a couple of years and in it’s original form, (black with green hhighlights) is their best selling model. This new version is being released with a resin band. 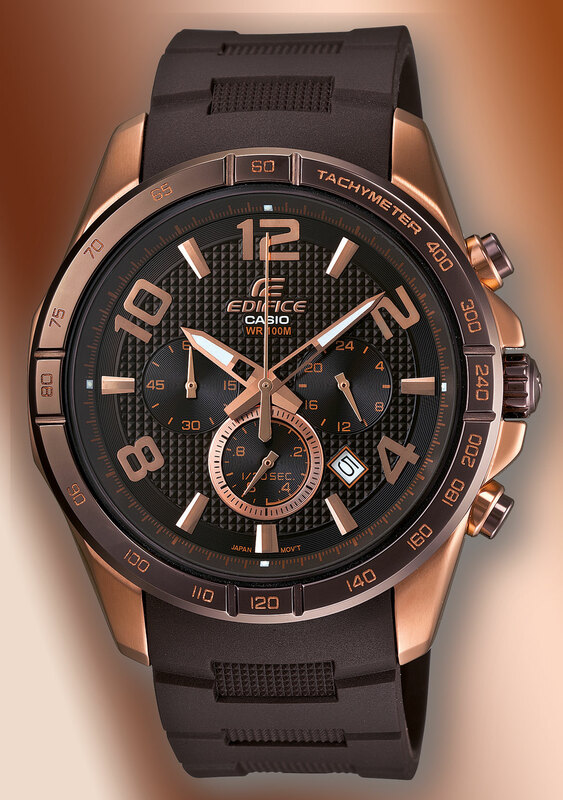 It is rich with features, ie, world time, daily alarm, 1/1000 stopwatch, perpetual calendar, and is distinguished by it’s “atomic” radio timekeeping and “tough solar” recharging. It will be sold retail for $450 and is expected to be shipped in October 2012. 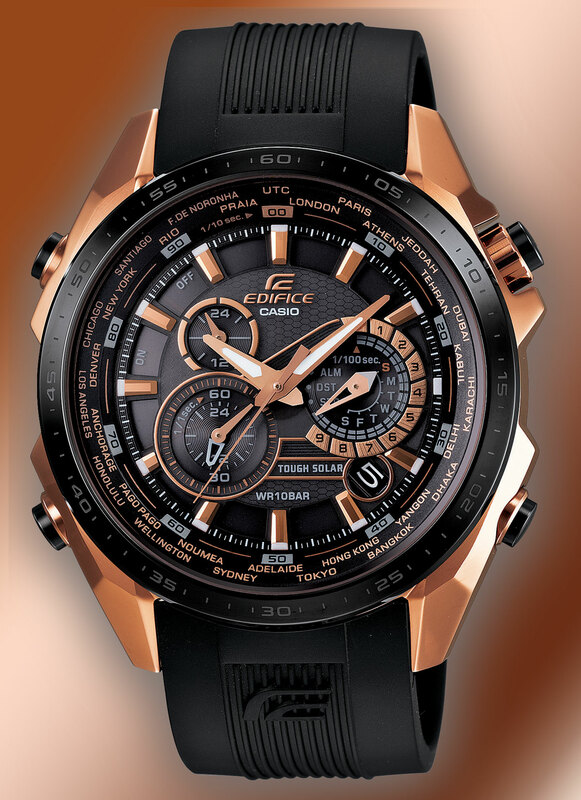 This watch is also a new colorway on an older model that has been a top seller for Casio. It includes solar recharging but does not have the “atomic” feature. Otherwise it is well appointed with resin band, beeper alarm, world time, 1/100 stopwatch, day and date display, auto calendar, and 12/24 hour formats. The retail price is $330. A more recent model, this version is more basic (sans atomic or solar) including 1/20 stopwatch, date, 12/24 hour format, and resin band. The retail price is $200. 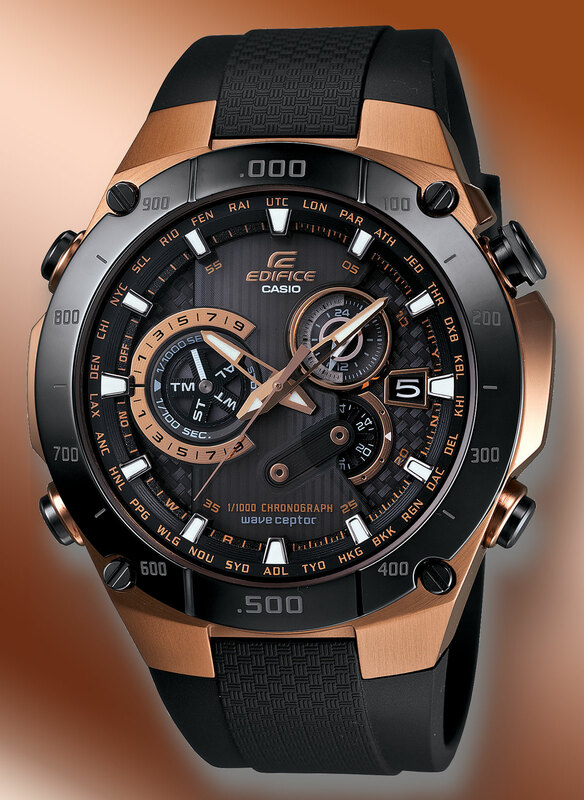 Edifice watches are Japanese quartz and are three hand analog. The line (in the US) spans in price from just over $100 to just under $800 with the bulk of their models in the $180 to $380 range. At the minimal level the watches include a date window – at the top they include “atomic” timekeeping, solar recharging, “tough” movement, alarms, timers, perpetual calendars, world time, etc. The line is well regarded by watch enthusiasts because of the better than average build quality (fit and finish and reliability) and intricatly designed dial layouts that are interesting, balanced, and easy to read. Descriptions in reviews usually include the words: sophisticated, elegant and stylish. Ease of operation has recently been moved to the front of their pitch with the introduction of “smart access.” Casio is very technology-centric, striving toward a reputation of industry-best accuracy and dependability. This watch is perfect for my choice, waterproof, shockproof, no battery replacement accurate wity many different time zones link with satellite. The design is stunningly beautiful, design flexible inside an executive office , yet with the character of outdoor activities,shockproof, waterproof, reasonably priced! You won’t be look down wearing this, look so expensive but reasonably priced, just perfect! 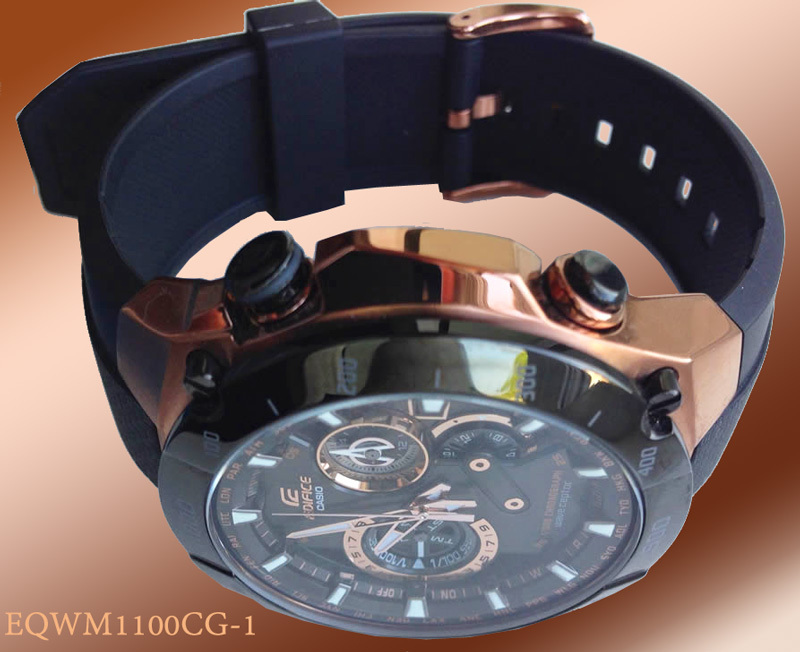 Please advise how or where to order the EQWM1100CG-1 from Thailand! I’m interested in aquiring a EQWM1100CG-1. I live in Sarasota, Florida. Nice review. 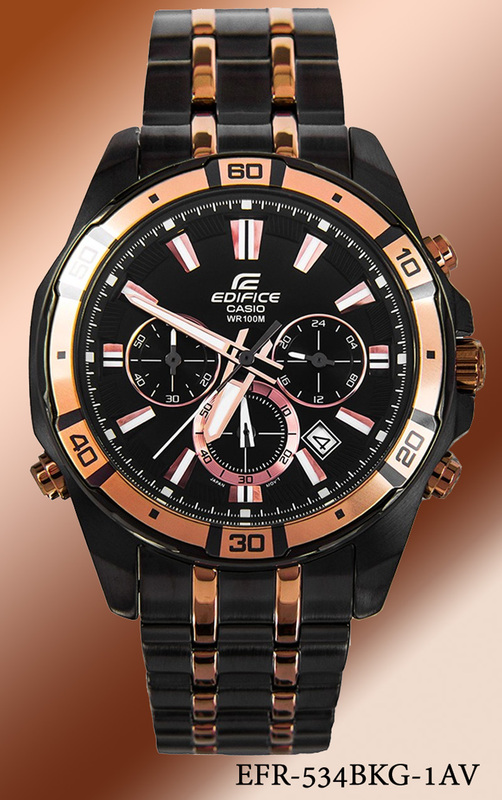 Great looking watches. I’d like to buy a EQS500CG-1A, but can’t find it on the web. Any idea where you can buy one?